Barbequing and making a bonfire is a very important part of life of every single Polish person also! Preparing dishes on an open fire is the oldest way to prepare food. Today grilling is not only a cooking technique, but also a way to spend your free time. Grilling has become very popular, common meetings with family or friends by the aroma of grilled meat, can detach us from everyday life and it is a great way to celebrate a gorgeous weather (24°C in Cracow today and 30°C tomorrow!) and spend some fabulous time relaxing in the bosom of nature. Who does not like to sit in the evening on the terrace or in the garden with an invigorating grill sizzle? However, before you invite friends to grill and light a fire, make sure that the grilled dishes are healthy. Learn the rules of grilling. Grilling rules. How to grill on grill so that grilled dishes are healthy? To light a grill, never use oil or paraffin. Old cartons and newspapers can not be used as they may contain various substances that give off toxic compounds during combustion. Limit the firelighters. It would be best to give it up altogether, but if we have problems with lighting the grill without using it, we only use it at the beginning when there is no food on the grill. You should not add cubes of lighter during grilling. To smoke on the grill, use charcoal or wood from deciduous trees, never from conifers, because they contain a lot of resin, which when burnt, can release harmful substances. Remember that the grate should always be thoroughly washed. Burnt fat and leftovers from the previous feast are a source of poisonous substances. It is also important how and what you smoke in the grill. The furnace should glow evenly. Use only special charcoal from trees. Directly on the grate you can only make what will be quickly ready. For meat and fat dishes use special aluminum, notched and perforated trays that facilitate the free circulation of hot air and do not allow fat to drip. This is important because fat burning in the heat can cause the release of harmful chemical compounds, for example, carcinogenic lipid peroxides. Absolutely not allowed to put printed paper, cardboard boxes, plywood or painted or varnished boards remaining from the renovation of the allotment house into the hearth. It all gives off harmful substances during combustion. In addition, improper fuel can change the taste of dishes. After finishing grilling, remember to thoroughly clean the grate from the residue of burnt fat and old dishes, they can also be a source of poisonous substances. Before the feast, you need to do the right shopping. Avoid the meat already seasoned. Then it is difficult to know if it is fresh. Give up any canning. Curing and preservative substances, e.g. saltpetre, decompose at high temperature into highly carcinogenic nitrosamines. Do not bake frozen foods, they are not suitable for the grill. Vegetables and meat must be at room temperature before being placed on the grate. Then they will be even tastier. Before baking, it is worth to marinate meat for 2-3 hours to crumble. The marinade can be oil or wine with spices. 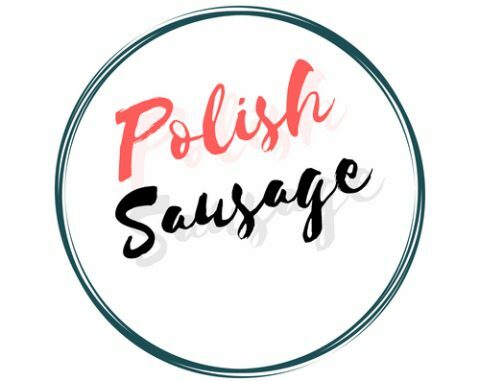 The most popular at any Polish barbeque party is of course… SAUSAGE! Grilled sausages are traditionally served with mustard. This is a wise habit, because the mustard stimulates the secretion of digestive juices and acts cholagogue. However, it should not be misused by people with digestive ailments. For them the gentle mustard is most recommended, eg for children. You will get an additional aroma of the dishes by adding juniper, walnut shell or pieces of fruit wood such as cherries. Poultry divided into portions: wings, legs, breasts. Always check that they are well done- there should be no pink liquid on the bones. Before grilling, rub the meat with ground hot or sweet paprika, curry powder or sprinkle with rosemary. Meat – veal and pork must be well washed, beef can be served “bloody.” Be careful that the white sausage does not remain raw in the middle (you are in danger of food poisoning). The bread is also suitable for grilling. Even stale bread smeared with olive oil and sprinkled with garlic after baking tastes great. On the grill: do not hesitate to use the herbs! They add flavor to dishes and facilitate digestion. Remember them, especially if you have a sick liver or a delicate stomach. The best mixes are those that we compose ourselves. Marjoram and tarragon replace salt, basil prevents flatulence, curcuma works diastolic. If you do not know how to choose herbs and prefer ready-made spices to grilled meats, check them out what they are made of. Often it turns out that they contain preservatives, improvers, e.g., monosodium glutamate, which in people suffering from irritable bowel syndrome induces bloating and a feeling of fullness. Vegetables roast best on the tray. Before that, immerse them in a marinade for 2-3 hours without salt. They are ready when the fork comes in without resistance. Best grilled vegetables are: zucchini, mushrooms, eggplants, whole tomatoes, peppers. Baked garlic completely does not irritate the liver. Tastes even those who avoid it because of the smell (almost imperceptible in this form). Soft cloves can be eaten alone or spread on bread in the form of an aromatic paste. A special form is the best for fish, which makes it easy to rotate. You can buy it in most stores with household goods or in a hypermarket. It has the shape of a fish, so it adheres perfectly. Remember that the meat spread with a knife should be glassy white. It is a sign that the dish is ready to eat. Its taste will be increased by ginger and mustard. In parties based on food straight from the grill, birthday or name-day events are often transformed. Below is the approximate grilling time for individual vegetables (cut into medium parts). The information comes from the recommendable book by M. Drennan “Barbecue parties at the grill”. Do you would like to know how to make a delicious Vegetable Shashliks, Pork Neck in mustard or Grilled Chicken Breast? Nothing easier! You can find this and more recipes in recipes section or simply click: Light it up recipes!! Hi, I found you on First Friday. This was really interesting, written very well, and extremely relevant to time of year for everyone in the northern hemisphere. There are so many factoids I was not aware of with regards to toxins and how to cook your BBQ, plus, I know of a lot of people who use firelighters during the cooking process. Thanks for this. Thanks for sharing this. A lovely job! Thank you very much for your comment, this is extremely helpful and I really appreciate your opinion! I will defenetely follow your advise, haven’t thought about that! I will defenetely have look at your site! You are very kind. I look forward to hearing your thoughts. Keep up the great writing. you are very talented! Great recipe, thanks to share with your readers. Loved reading this! Very well written and well thought out. Since I’m a city guy, I don’t know much about these kind of things so it was good to know all of these various things. Thanks for sharing! Check out my blog too and let me know what you think about it! Previous Previous post: Shot of tradition! Next Next post: Sausage Party Recipes! !